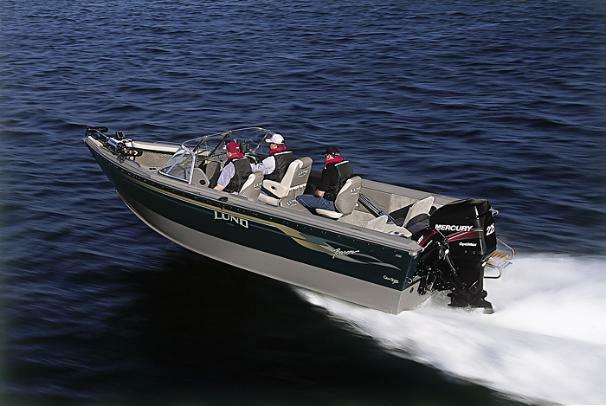 Boat Description The Lund 2150 Baron Magnum Gran Sport IO has the Lund IPS hull - faster and easier to handle and always stable, whether trolling, anchored, or riding high and dry. Lund`s Integrated Power Strake hull delivers more non-turbulent water to the propeller for a better performance. Her technical features include MerCruiser or Volvo controls; lighted auto-style instrumentation on the custom dual console; an insulated motor cover; and a built-in 80-gallon fuel tank. In the cockpit are two aft jump seats, a boarding ladder, dual ProLong livewells and a canvas top with its own storage. Dry Weight 2255 lb approx.